This was illustrated in the early days of Frost River. 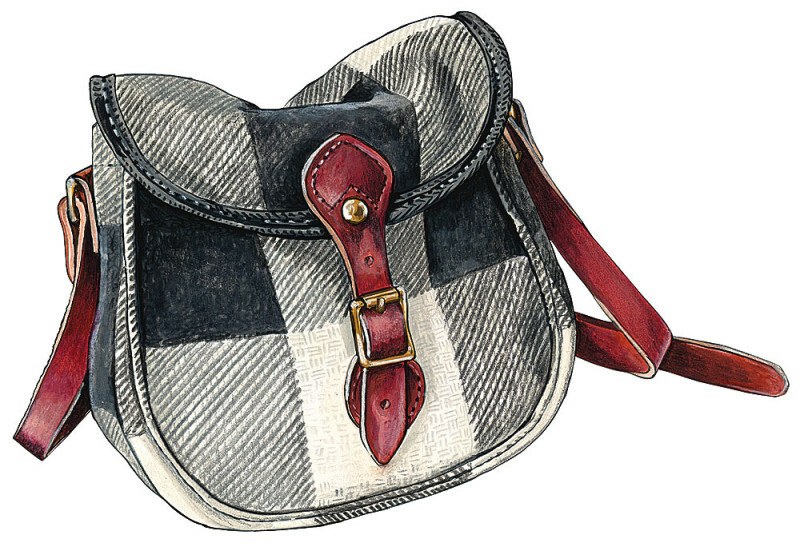 Frost River’s founder, Steve Emerson, thought wool plaid would be an interesting switch from all the waxed canvas and leather products, and since most of the “shell bag” customers were women buying shoulderbag/purses anyhow, it might just take off. Gouache, pen and colored pencil.